I am addicted to Special Needs Ryan Gosling. Its so much fun to do, and I have discovered so many awesome new blogs by participating. I have some more topics to write about bouncing around the noggin and hopefully I will get some time to post this weekend. ← Happy Birthday Sassy Girl! HA! I love this and it’s so true. 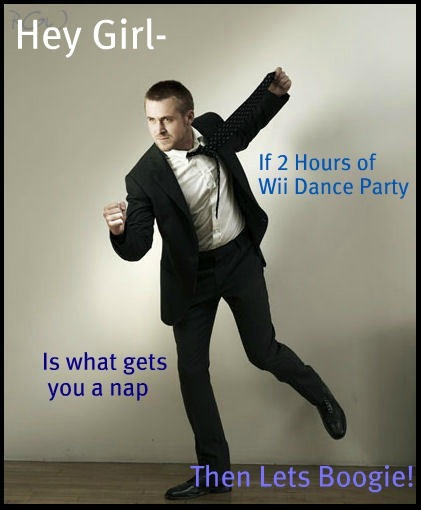 Sam could play Just Dance for HOURS! Oh, this picture made me laugh so hard! Love it! This is so awesome! I just snorted coffee I laughed so hard! Bless Wii, Nintendo DS and Pixar films. On many occasions they are an Aut Mom’s best friend. HA! Love it! Ryan can dance too? He’s amazing! This is GREAT! We just found the wonder of Just Dance.